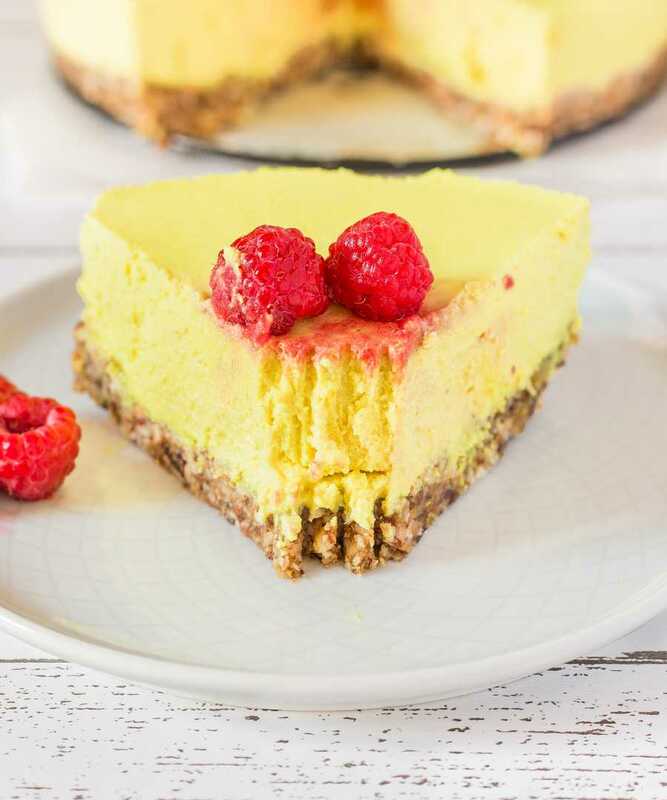 Raw Vegan Lemon Cheesecake made with just 7 ingredients and perfect for a healthy treat. Gluten-free, oil-free and delicious! 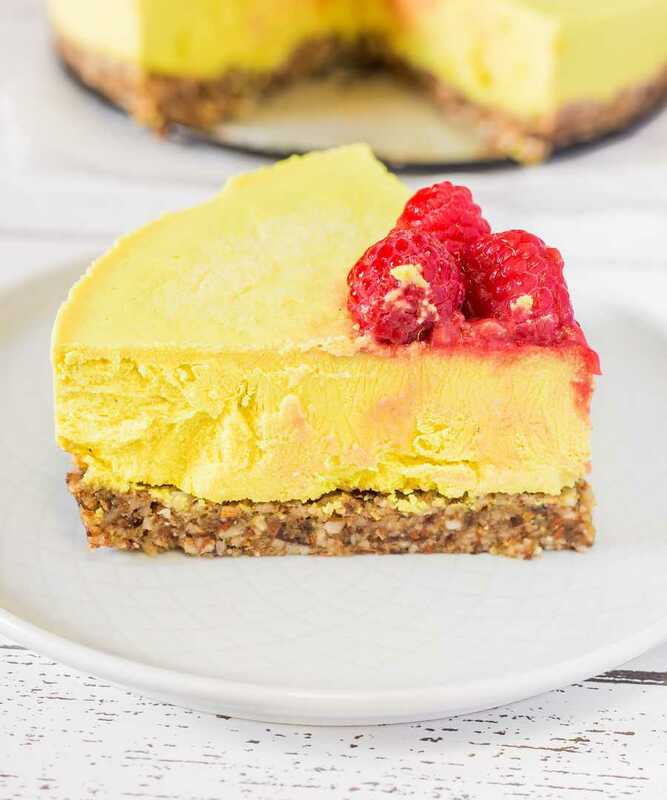 How about a big slice of this delicious raw vegan lemon cheesecake to celebrate summer? 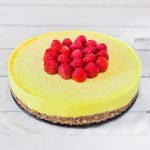 At first I wanted to make a no-bake lemon pie but since I had quite a lot of cashews at home I thought “why not make a raw cheesecake with cashews?”. And here is the result, I hope you will like it! 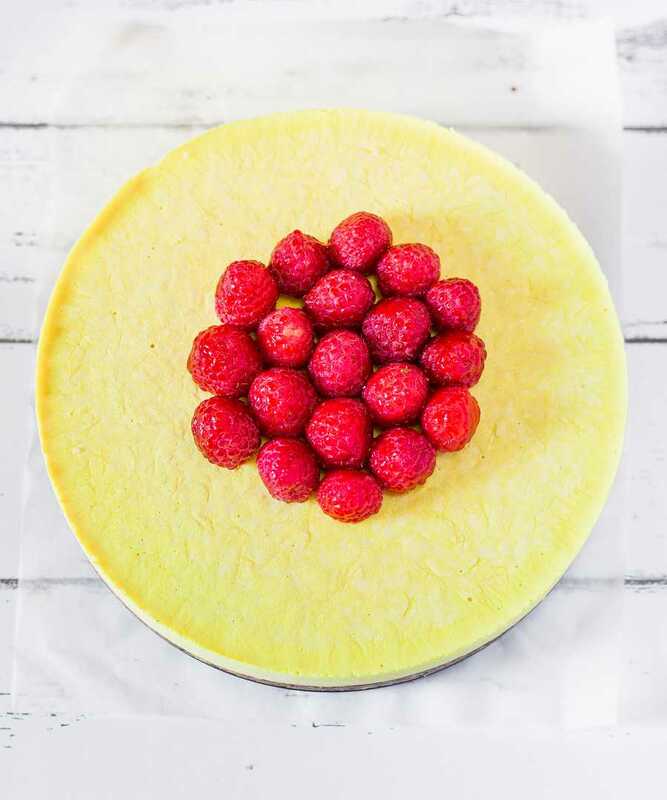 As you can see in the video, this cheesecake is the easiest to prepare. It only takes 15 minutes to make, the longest part being to let it set in the freezer for 4 hours. So if you make it early in the morning, you can enjoy a big slice for dessert. Otherwise, if you are not a morning person, you can make it the night before and enjoy it for breakfast the next morning. Honestly, I don’t know which option is the best since having cake for breakfast is not something I would say “no” to. 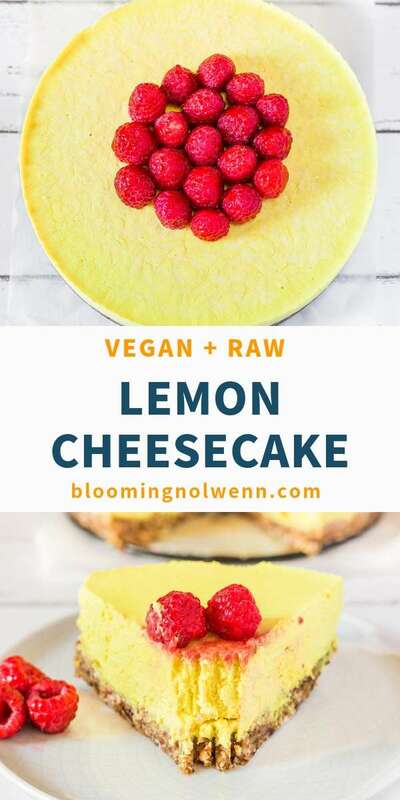 I am very happy with how this lemon cheesecake turned out since it doesn’t contain any gluten, oil or refined sugar. 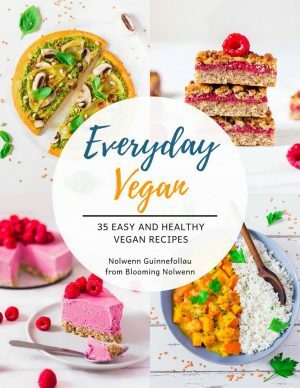 It does contain quite a lot of fats with the almonds and the cashews, but it is always better to eat whole nuts than to eat oil, which a lot of vegan cheesecakes require. I also didn’t use any sweetener like agave or maple syrup and I think it doesn’t need any because the crust is already quite sweet thanks to the dates. However, if you feel like it’s not going to be sweet enough for you, you can always taste the filling and add some dates or maple syrup/agave syrup to it. 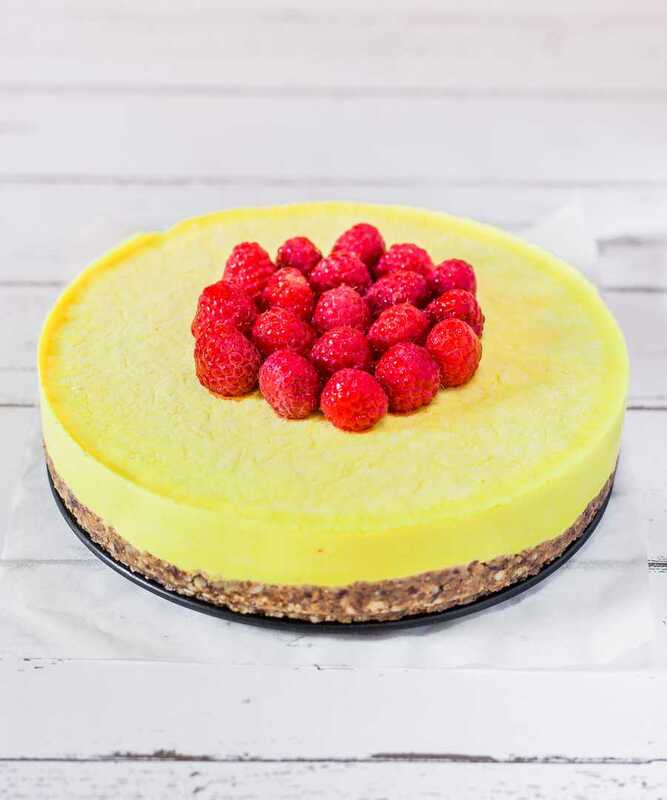 Raw Vegan Lemon Cheesecake made with just 7 ingredients and perfect for a healthy treat. Gluten-free, oil-free, refined sugar-free and delicious! Place the dates, almonds and lemon zest in a high-speed blender or food processor and process until the dough sticks together when you press it with your fingers. Your dates should be very soft and moist. If not, you can soak them in warm water for 15 minutes. 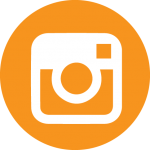 Line a 7-inch (18 cm) round baking pan with parchment paper. Transfer the dough to the pan and press it firmly with your fingers. If the dough is too sticky you can slightly wet your fingers. Chill while you prepare the filling. 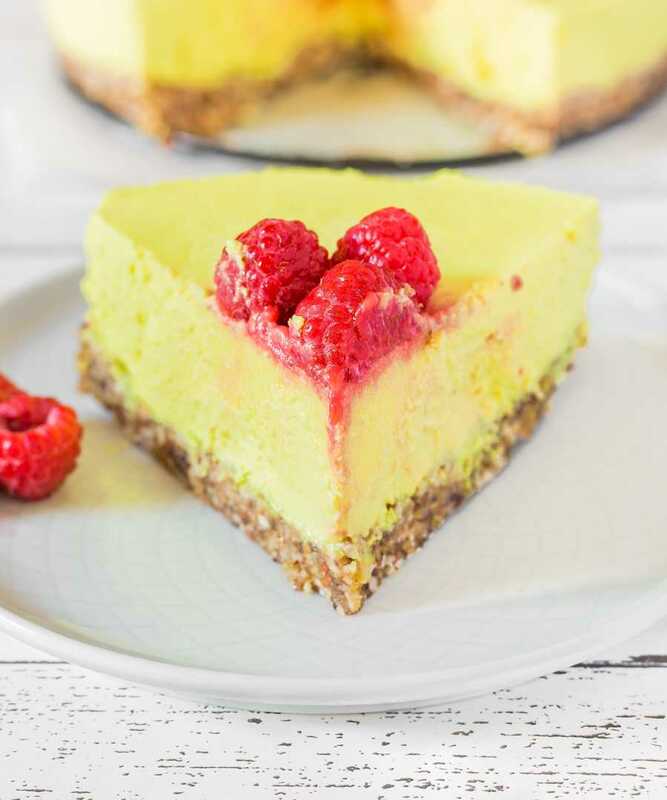 Place the cashews, coconut cream, dates (if using), lemon juice, lemon zest and turmeric in a high-speed blender or food processor and process until completely smooth and creamy. There should be no chunk of cashew left. This may take more or less time depending of how powerful your blender is. Take the prepared pan out of the fridge and pour the lemon filling over the crust. Freeze for at least 4 hours. Take the cheesecake out of the freezer at least 30 minutes before serving. It keeps well in the fridge for 4-5 days. Enjoy! Yum this looks so good. Would it freeze well? 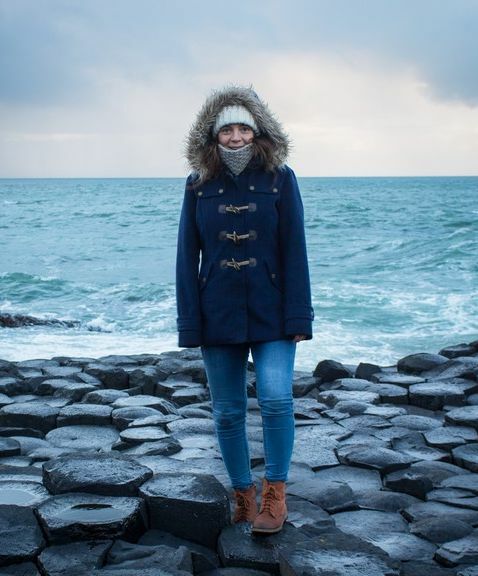 Hi Zoe, yes, it freezes well. Remember to take it out of the freezer 30-60 minutes before serving. Lemon cheese cake is wonderful. Thats too no bake. Yum. Thanks for sharing.